Did you ever stop and think why we talk about Smarter Planet and Smarter Cities, but wish things were simpler and smarter in our daily lives? If you did, you aren't alone. 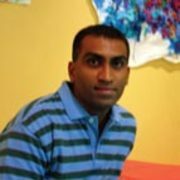 My team member Suresh and I both have personal family experiences of ailing parents in India who needed home care, and it was hard for us to arrange the care from the US for our respective parent. Whether your parents are in India or Indiana, don't you need something that will recommend qualified, trusted providers based on your needs rather than give you a huge search result and have you fend for yourself to find a good match. To make lives easier for our seniors and their families, we've created a Recommender App to find select home care providers based on your criteria and that we highly recommend based on our experience and research. Adoption and marketing of this app is certainly a challenge that all apps face, but we hope to mitigate the challenge by partnering with insurance companies, Senior Nonprofits and Hospitals. In a short period of time our team has been able to do research, brain storm ideas and create an innovative product that really addresses a rising global need. As a team we've leveraged our diverse, tech and non-tech skills, personal and industry experiences effectively. 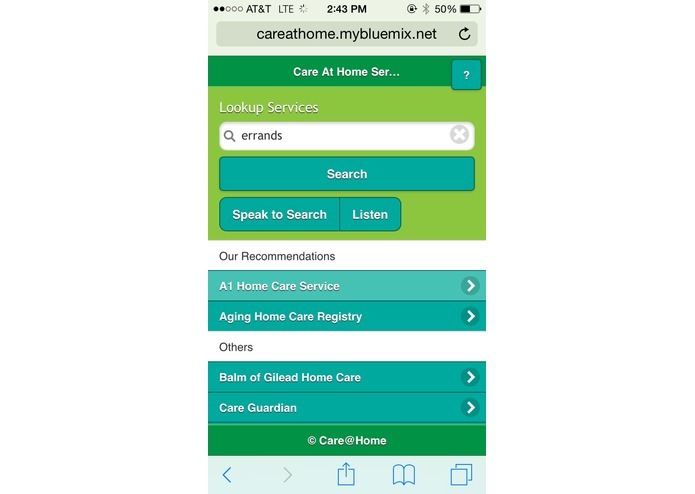 Post-Hackathon, we would like to refine and test the Care At Home app for further validation.